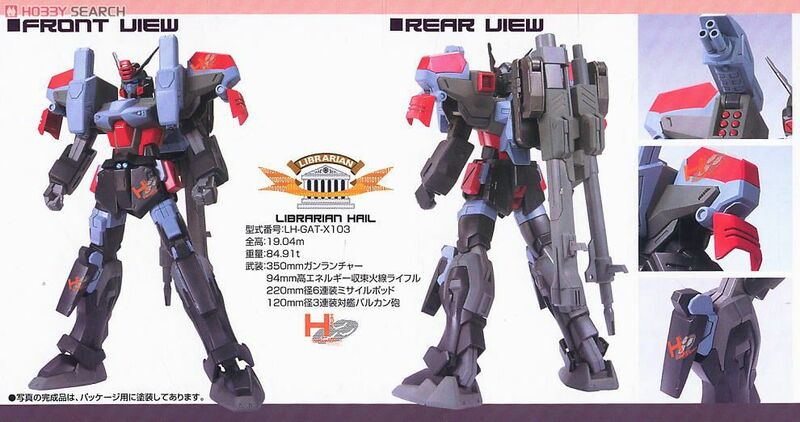 One of the new machines developed by Librarian Works in the "Mobile Suit Gundam SEED VS ASTRAY" manga, the Hail Buster Gundam is an upgraded version of the Buster Gundam with additional firepower and sporting a different color scheme. The Mobile Suit piloted by Finis Socius is now offered as this sharply detailed snap-fit plastic kit that will be fully articulated with polycapped joints upon completion. Its weapon loadouts consist of a 350mm gun-launcher, a 94mm high-energy beam rifle, and two shoulder-mounted 120mm anti-vessel mlti-barrel guns. 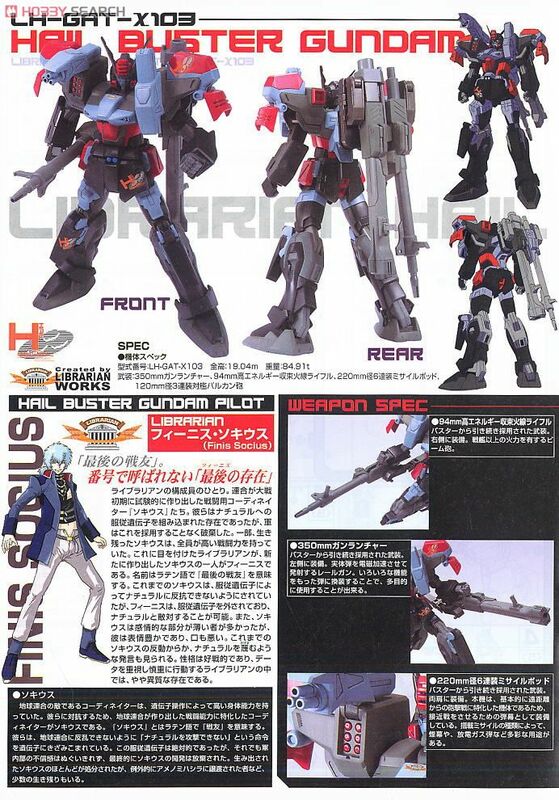 Hail Buster Gundam can also be equipped with the Shield Striker unit from the Aile Strike Gundam. Foil stickers and marking stickers are provided. "Hail" refers to hailstones. This mecha gets its name from the countless bullets it spray out from every part of its form. This version has seen various upgrades to improve its firing accuracy over the Buster, which was originally specialized for artillery battles, and it has dramatically enhanced precision firing capabilities from short to long ranges. 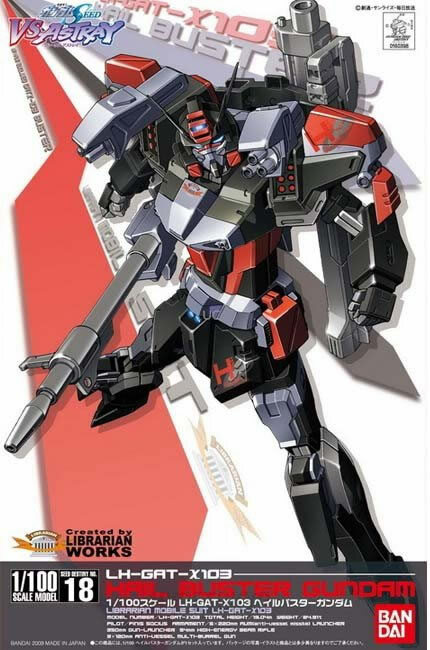 Also, in order to act as a sniping mecha, it uses Mirage Colloid along with its armouring so it can collect large amounts of data from enemies without them realizing it, then eliminate them with a single strike.